David T. Phillips is a nationally recognized consumer advocate for insurance, annuities and estate planning with over 42 years of experience. He is the author of bestselling books – Estate Planning Made Easy, The Family Bank Strategy, The 10 Most Common Estate Planning Mistakes and How to Avoid Them and Co-Author of Growth Without Risk. Mr. Phillips has been a featured speaker at a multitude of investment conferences and a frequent guest on national television including: CNN, Fox News, CNBC, Money Talks, and Bloomberg. 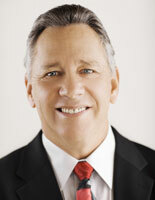 Mr. Phillips is CEO of Phillips Financial Services and founder and CEO of Estate Planning Specialists. With clients in every state, his companies have assisted thousands of Americans in properly planning their estates. Mr. Phillips graduated from Brigham Young University. He is an active member of his church and coached the Arizona State University Water Ski Team from 1994-2006, winning the National Championship in 2001. David and his wife, Jane have four children and eight grandchildren. 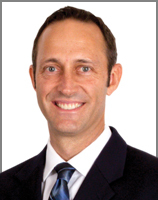 Todd Phillips is the President of Estate Planning Specialists LLC and Phillips Financial Services LLC. Following in his father's footsteps, Todd has been helping people across the country with their insurance and investments since 1995. His primary responsibilities are monitoring and analyzing safe money investment products and designs from Delayed Single Premium Immediate Annuities (DIA) to Alternative Natural Resource Tax-offsetting strategies. Todd's talent is in assimilating the intricacies of the plans and breaking them down in a concise manner for a nationwide clientele. In September of 2003, after witnessing the remarkable lack of understanding among consumers and agents regarding Fixed Indexed Annuities, Todd Co-Authored the book Growth Without Risk Because of the voluminous industry changes and addition of the Lifetime Income Riders, Todd felt a pressing need to write an update title The Future of Retirement Savings. He has also written for several nationally distributed periodicals including "Boomers Market Advisors," "Physician's Money Digest" and "Doctors Financial Times." In addition to his duties as President of Estate Planning Specialists, Todd holds Series 7, 63 and 66 licenses. He has authored The Future of Retirement Savings, IRA Leverage Strategy, How to Hedge Against the Coming LTC Crisis, and The Optimum Wealth Protector. In 1998, Todd graduated from Arizona State University with Honors and was a Four-Time All-American water skier. He enjoys playing and coaching soccer with his wife, Camille, but his greatest passion is being daddy to six of the cutest little girls in the world: Jocelyn, Brinly, Amelia, Juliette, Annalise and Brielle. 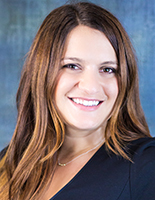 Sara Lewis is the Senior Case Manager for Estate Planning Specialists. Her role not only encompasses supporting and guiding clients through their planning process, but also includes supervising the general day to day functions of the office. She has been assisting Estate Planning Specialists’ clients throughout the country for seven years, and thoroughly enjoys the relationships she builds with each client with whom she works. Sara has assisted both David and Todd in the publication of their books The Family Bank Strategy, The 10 Most Common Estate Planning Mistakes and How to Avoid Them, and The Future of Retirement Savings, as well as various articles for financial publications. Sara graduated from Arizona State University with a degree in English Literature and she is an active member of her church. She enjoys playing basketball and was the point guard for the 2014 league championship team. She enjoys crafting, woodworking and home improvement projects. Sara and her husband, Nick, have been married for two years and have two children.